9 1/2" x 14 1/2"
The pattern for "A House is Not a Home Without A Cat" is included. Finished size of the wall hanging is 13" x 28"
Precuts and patterns available for the cats. Click here to view PATTERNS. Click here to view PRECUTS. Now I lay me down to sleep, I pray the cushy life to keep. I pray for toys that look like mice, and sofa cushions, soft and nice. I pray for gourmet kitty snacks, and someone nice to scratch my back, for windowsills all warm and bright, for shadows to explore at night. 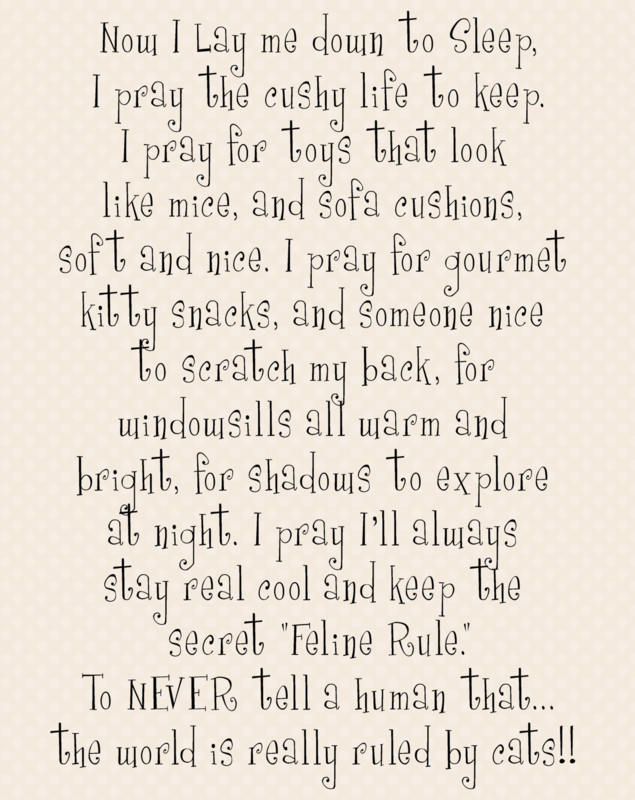 I pray I’ll always stay real cool and keep the secret “Feline Rule”. To NEVER tell a human that…the world is really ruled by cats! !